Auto money app is a new free binary options software. The developer of the software tells us his application made him over $1 million just 100 days. He gives us the impression that he believes the software will be able to do the same thing for you as well. Today I’ll be providing a short review because I really don’t believe that this software is going to provide us with the value we require here at binary today. The front page of the auto money app consists of a video and an email subscription form. At the point that I am on this page it is telling me that there are only 7 spots available where I live. I logged in from a VPS which has a different IP and it tells me that there are 7 spots available from that location as well so I believe it’s just going to say 7 everywhere. There is a large pop-up that becomes active if you positive video or sit on the page too long without doing anything, it is quite distasteful. The auto money app video consists of a fake news broadcast which obviously makes me this trust this developer considerably. We watch a woman who is supposedly reporting for WGIT news named Andrea Weaver. If you do a quick Google search for WGIT news you will see that there is no such thing and any real news broadcasting company would have a website that ranks very highly in Google. The reporter is standing outside of the house where she tells us that 11-year-old child was just being interviewed by high government officials for several security breaches. We are then reintroduced to this child years later when he is 19 years old and some sort of a rich phenom. It’s like they’re just putting together some sort of a short movie here. Today I will not be recommending the auto money app to any binary today reader. There is really no reason for us to get involved with this system whatsoever. The video on the front page is a fake news broadcast and a movie that talks about fictional characters and were supposed to want to invest in this system because of these fictional characters. That is absurd. 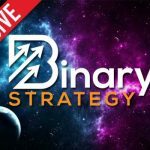 If you want some help with binary options you can email me anytime or just look around the binary today website. Thanks for your review of Auto Money App. Now I can unsubscribe from the “Millionaire Money Machine Team” spam emails they always send me.